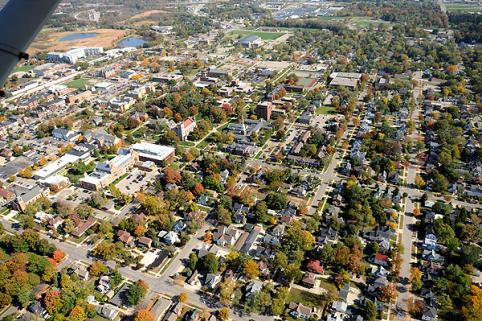 In the latest Farmers Insurance rankings of hundreds of communities across the U.S. based on safety and security, Holland-Grand Haven in Michigan and Corvallis, Oregon secured the title of Most Secure Mid-sized City and Most Secure Small City, respectively. The study of metropolitan areas, compiled by quality of life expert Bert Sperling (www.bestplaces.net) took into consideration a number of criteria, including economic stability, crime statistics, extreme weather, risk of natural disasters, housing depreciation, foreclosures, air quality, environmental hazards, life expectancy, motor vehicle fatalities, and employment numbers. In the survey, Mid-sized cities were those with populations between 150,000 to 500,000 while Small cities were those with populations smaller than 150,000. One of the nation's largest multi-line insurers, Farmers Insurance is committed to helping consumers become smarter about insurance and risk management and has a long history of helping communities become safer and more secure. "Farmers Insurance is celebrating its 85th anniversary this year and since our founding, we have been committed to improving the communities in which customers, agents and employees live and work," said Chuck Browning, Head of Sponsorships. "We congratulate the residents of Holland-Grand Haven and Corvallis, along with all medium and small cities named in the top 20 rankings. They are fortunate to have dedicated local government, law enforcement, fire, medical and education leaders who work hard and have earned the Farmers Insurance most secure city recognition." Earlier in the year, Farmers announced that the Bethesda-Gaithersburg-Frederick area in Maryland had been ranked the Most Secure large metropolitan area in the country. "Our most secure metropolitan areas are islands of security in our challenging times," said Bert Sperling, president of Best Places. "They have been able to maintain stable economies and many are fortunate that their locale is not prone to hurricanes, tornadoes, or earthquakes. Although each metropolitan area is different, they all possess a desirable combination of factors (jobs, low crime rates, housing, climate, health, reduced levels of natural disasters) that make these some of the best places to live in the United States." The Farmers Exchanges are three reciprocal insurers (Farmers Insurance Exchange, Fire Insurance Exchange and Truck Insurance Exchange), including their subsidiaries and affiliates, owned by their policyholders. Farmers Group, Inc., along with its subsidiaries, manages the non-claims insurance operations of the Farmers Exchanges. Farmers Group, Inc. is wholly owned by the Zurich Insurance Group. The department of dance at Hope College is hosting the last of its Fall Student Dance Showcase concerts on Monday-Tuesday, Nov. 25-26, at 8 p.m. at the KnickerbockerTheatre. The Hope College admissions office will sponsor a visit day for prospective college students on Friday, November 15.